One Install Does It All: For the past year and half Earthquake engineers have been working on providing consumers with the best 5 channel amplifier; finally, the TD5X was conceived. 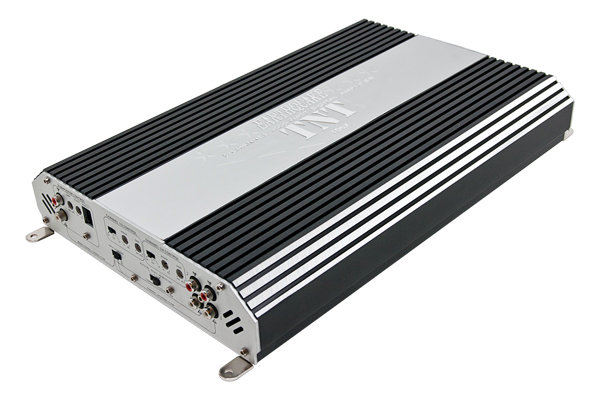 TD5X’s 3000 watts of max power is more than anyone will ever need in such an install. TD5X has 4 channels for your front and rear sound quality imaging and with over 100 WRMS per channel, it is more than enough for any coaxial, 6x9 or components speakers. On top of that, channel 5, the subwoofer channel, outputs over 400 WRMS thus driving your subs to deliver the best bass you can dream of.